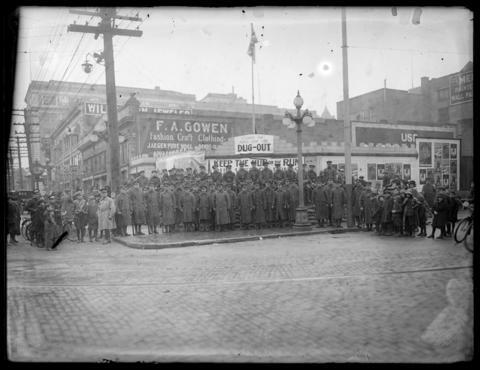 Photograph depicts troops standing in front of a post selling Victory Bonds and offering a replica of a trench dugout. The streets and nearby walls are covered in advertisements and war propaganda. Restriction: image J-01858 is a glass plate negative. Researchers should consult the online reference image prior to consulting the original.